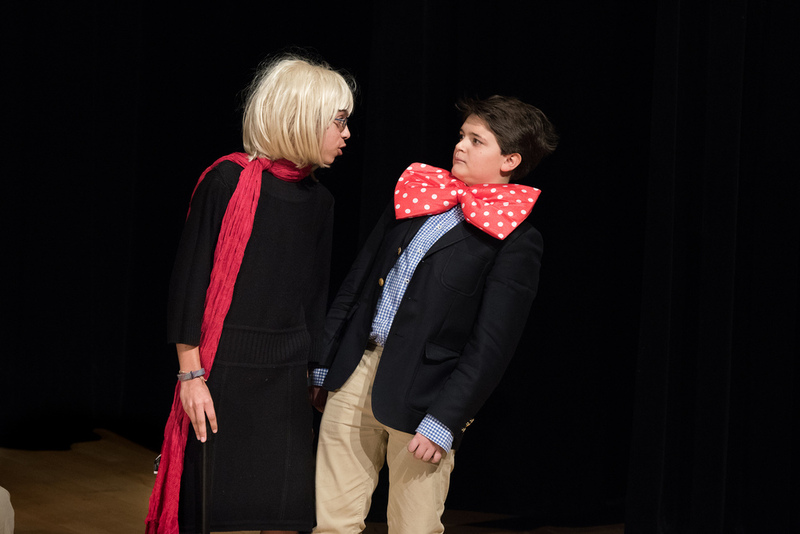 On January 30, Browning’s Form II French students participated in the annual Middle School theater festival at the Lycée Français de New York. French teacher Dominique Bernard reports: The imposing amphitheater was packed, the tension was palpable and the boys a little nervous but very motivated. 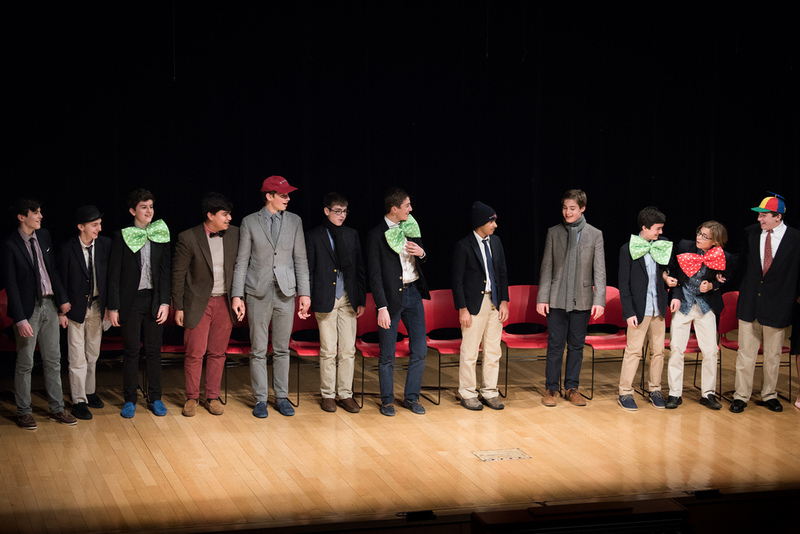 Their assignment was to present a short performance of five to seven minutes based on this year’s theme, “Disgust and Desire.” The quality of all the plays was remarkable and perhaps even better than in the past. Well-assisted by his talented peers, a Form II Browning boy was awarded the “best non-French speaking male actor trophy.” Browning also won a “Coup de Coeur” (difficult to translate in English, but it means “loving something impulsively”) for Humor. This was a superb achievement indeed! The festival was, as it is every year, an enjoyable and engaging activity. The numerous Browning parents who attended the event had every reason to be proud of their children! Photos generously provided by Lycée Français de New York.